Among these types of wireless technology you’ll likely find some important ones that you didn’t even know existed. Our technical reach is increasing rapidly and the growth of the Internet is enabling information to reach a new and expanding audience. Wireless technology is freeing existing good ideas from the constraint of wires and, at the same time, enabling an emergence of new ideas and applications that weren't possible before. For a while we are on a trajectory of rapidly increasing wireless solutions... leading to an 'explosion' of new types of wireless technology. There are several ways of categorizing the different types of wireless technology. This is where it all started... people just talking to each other over radios. Each was the size of about a hundred cellphones! While it was nice to communicate with an actual person, it was a very slow way to exchange information. And wireless is good for much more than just a two-way voice conversation. Cellphones are now the preferred means of voice communication, but they also allow texting and internet access. 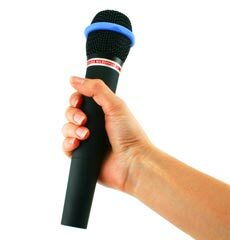 Some are more sophisticated than others, and usually require the thing they are controlling to acknowledge that it has correctly received the command… and acted on it! Otherwise it’s just a case of send, and hope the other party received what you sent. Not ideal, but now we can do better than this. Getting that acknowledgement tells you the command was successful. Not getting it allows you the option of trying again... as many times as you like, to get the result you want. And if you don’t get it? Well, at least you know! If the sender and the receiver have an agreed set of rules (protocol) on how they’ll communicate with each other, things go much more smoothly. A bit like people driving cars … road rules are the protocol that keeps the traffic flowing smoothly. 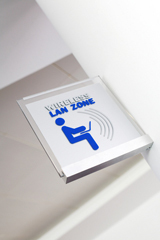 Most types of wireless technology share this hidden, but very important function. Wireless protocols do the same for wireless traffic, minimizing collisions between packets of data traveling on the same wireless superhighway. Wireless protocols are allowing wireless devices to co-operate at ever-increasing levels of sophistication – making the whole wireless world, not just controllers, more efficient, reliable and dependable. And soon we’ll be able to measure things we don’t yet even know we want to measure! 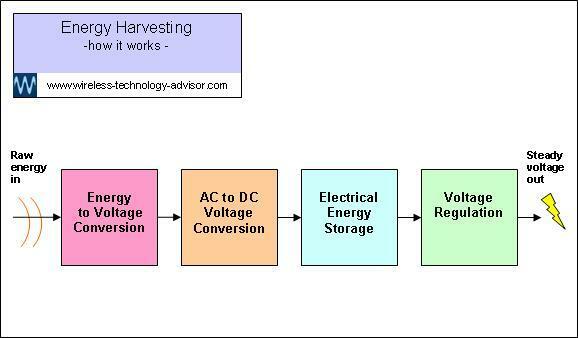 Residential electricity supply metering. Electricity Utility Companies are increasingly reading house supply meters remotely, using a wireless link between the electricity meter and the company. This reduces costs because a meter reader doesn’t have to go to each house to read, and record, the display on each meter. It also allows accurate billing as it’s based on an actual reading, rather than the estimate presented if the meter reader wasn’t able to get access to read the meter. If you'd like more information on remote measurement, or measuring something at a distance, check out wireless telemetry. 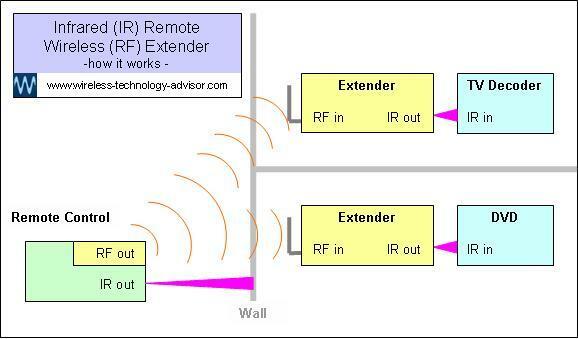 Wireless sensing is closely related to wireless telemetry or remote measurement. There are many types of sensors for sensing many different things and this is one of the most important and interesting types of wireless technology occurring at present. These have just two states… on or off (like a switch). These are often used in security applications, such as allowing you to sense if a door or window is open or closed. These can tell you more than just ‘on or off’. They can tell you ‘how much’. Common examples are those that sense the temperature of the air, the water in your swimming pool or environment in a factory or office. Examples of less common sensors are those that sense acceleration, turning force (torque) or how close something is (proximity). Wireless sensing is one of the most exciting and important emerging types of wireless technology. There is huge potential for new applications that have never been thought of or commercialized before. New types of sensors will drive this wireless technology at an ever-increasing pace for a long time. You can now track items easily, accurately and cheaply by attaching wireless Radio Frequency IDentification (RFID) tags to them. A special RFID reader is used to read the tags. RFID is becoming one of the more important types of wireless technology. and even patients in a hospital... this type of wireless technology can significantly reduce the risk of misadventure when things get busy and resources are scarce! You can probably already think of some other uses for RFID tags. RFID tags minimize the risk of getting items mixed up. Identification is positive and instant and if needed, additional information can be added to, and read from, the tag. Here's an answer to the question, What Is RFID? Entertainment is one of the types of wireless technology that is going to allow us to have some quite surreal experiences in the years to come. But a simple application, being able to record or listen to music without being tethered by a wire lets you do other things at the same time and is great if you need to move around. These are becoming one of the more popular types of wireless technology for navigation and location. A GPS works out its position from the time it takes radio signals to travel to (usually) three satellites in space. The position of the satellites is accurately known at this time. A GPS, with display and voice instruction, can help you navigate your car. It can minimize the time for services to reach the scene of an emergency. You can use one to locate objects, to keep them inside a specified area. buildings, to monitor the effects of wind and vehicle loading. GPS is indispensable for land surveying and mapping physical features. ocean currents when installed in a free-floating buoy. If you’re a supplier, your reputation depends on the care, skill and integrity of the company that transports your products to the customer. Sometimes this can be a bit of a lottery. With the right sensors and wireless connections you can now track their progress. While goods can be insured, the insurance company may not cover you for late delivery... or loss of reputation. Now blind faith can be replaced by remote assurance. Rough handling can easily damage fruit, vegetables and breakable items. But now you can remotely monitor and record any rough treatment that takes place when you send your produce, whether locally or internationally. Exposure to excessive temperature. Heat can spoil food items but it’s easy to record the temperature that the goods are exposed to and send an alarm via a wireless link if the temperature exceeds an amount that’s been specified by you and programmed into the system. The data can be stored securely and later used for validation of the process, for legal or compliance purposes if necessary. Exposure to excessive humidity. High humidity may encourage the growth of mould on some types of fruit, especially if the minimum temperature has also been exceeded. This is another easy to measure condition that can be used to generate a wireless alarm. All of these can be continuously monitored. The shipping agent can prove that the goods have been handled reasonably during transport. The producer can prove that the goods have not been handled reasonably during transport. Of all the types of wireless technology, sensors have the widest range of possible applications. Wireless sensor networks can provide early warning of an Impending catastrophe and they can also provide valuable information on its progress to let you to respond in an informed way, so you don’t have to guess – guessing isn’t the best when lives and property are at risk. Of all the types of wireless technology, wireless networking underpins the others, as each can potentially become part of a wireless network. Local Area Network (LAN). This covers an area such as that within a typical building and allows several computers to share a single Internet connection, provided they are fitted with a suitable wireless LAN connection card. Currently wireless N provides the best quality WLAN connection. If you fit a wireless N adapter to your laptop you can connect to the Internet through a WiFi wireless network, provided you're within its range. Metropolitan Area Network (MAN) This may cover the area of a city and is often used to connect LANs to the Internet. Wide Area Networks (WAN)are nation wide or even international. The world’s largest WAN is the Internet. Sensor networksYou may have several clusters of sensors, where each sensor is connected to a LAN and the LAN may be connected to the Internet. Cellular networks This is one of the more important types of wireless technology and is commercially unstoppable due to the massive worldwide demand. Your cellphone connects through a local radio cellular transceiver (sometimes called a node). The local nodes are interconnected nationally via a WAN. 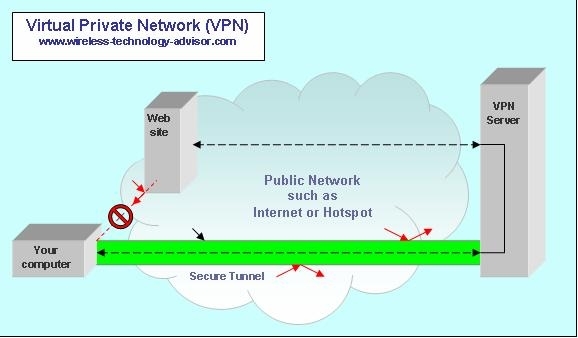 The main difference between this and other networks is that when a mobile phone goes out of range of one node, it has to be handed over to another nearer node or your phone conversation will stop abruptly! The Internet This is the largest network in the world. It's a network of networks that uses many different types of wireless technology. Here's an answer to the question, How Does Wireless Internet Work? Most of us like the idea of having our laptop computer enabled for anytime anywhere Internet access. Wireless Internet cards provide Internet access via local area WiFi networks, when available, or via the cellular system when there's no WiFi network within range. air temperature, humidity, wind speed and direction. In a working environment, such as a large office, careful management using a closed loop system with distributed wireless sensors, allows you to use energy more efficiently... minimizing waste caused by raising the air temperature excessively, allowing it to become uncomfortably hot, while maintaining adequate ventilation and humidity levels. Controlling Processes Closely controlling energy-intensive processes, such as some factory production lines, can bring about a significant savings in energy and reduction in costs. Many of these processes are partially or fully automated these days, but often this is to save labour costs rather than energy. To improve your energy efficiency you first have to establish a bench mark… record the amount of energy you’re using now... before implementing energy saving methods. Otherwise you won’t know how much (or how little) energy and dollars you’re saving after you put the energy saving changes in place. A computer mouse receiving energy wirelessly from a special active mouse pad. Wireless stereo headphones with internal batteries recharging via a re-charge docking station where they are placed when not in use. An electric toothbrush wirelessly receiving energy from its docking holder to charge its batteries. 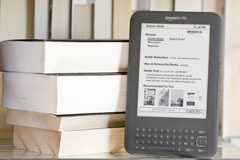 Wireless e Book Readers are a popular alternative to books. They mostly overcome the disadvantages of conventional books and can really enhance your reading experience. They're typically thinner, lighter and you can download an e Book in under a minute, via WiFi or 3G. Some e-readers are dedicated 'electronic paperback books' that are ideal when you just want to read. Others have computer functions with Internet browsing capability, though this can reduce reading quality. Here's an example of a dedicated e Book Reader, the Kindle reader. things can happen quickly, in any order, often unexpectedly and may sometimes be potentially life-threatening or chaos-causing. Wireless Pager Systems are a very effective way to bring order to these types of situation. There are many products that have been made possible with the application of wireless technology. It passes information from one device to another without any physical connection. 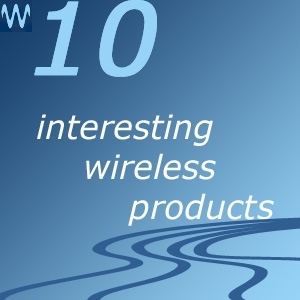 There are many different types of wireless technologies and the list is growing rapidly. But where's it all heading to?